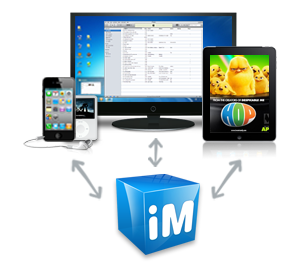 Wondershare iMate is a device manager for iOS to back up and transfer files from iPod/iPhone/iPad into iTunes or to PC. They are giving away not only iMate but there are also other attractive offers. You can also try their latest Android mobile assistant – MobileGo for free within this giveaway. That’s not all they are also giving 50% discount for PDF Converter($59.95), Video Converter Ultimate($65.95) and DVD Slideshow Builder Deluxe($59.95). So what are you waiting for. Go and grab the offer now. Great Free offers – Is it available outside India ? No words to say about this offer, because such a great offer on here:-). But is it true? It was really available and I have got my copy of iMate.